Learning how to make soap is easier than you might expect. Soap making classes can provide the information you need to begin enjoying this fun and rewarding hobby. With a little help, you can be well on your way to making beautiful handmade soaps for all your family and friends. In many communities, soap making classes are available through craft stores that hope to increase sales of their soap making materials. Check your phone book for details. Bella Online also has a listing of various businesses across the United States, Canada, New Zealand, and Australia that provide soap making classes. Sometimes, the continuing education division at your local community college or the nearest city recreation center may also host soap making workshops. However, since these organizations are not trying to sell you supplies for your soap making projects, you can typically expect to pay a registration fee to participate in the class. If you can't find a class in making soap nearby, online learning may be a good alternative to consider. Web-based classes are also a good idea if you have work or personal commitments that would make it hard for you to take a traditional soap making class. Teach Soap offers several different soap making tutorials and recipes. 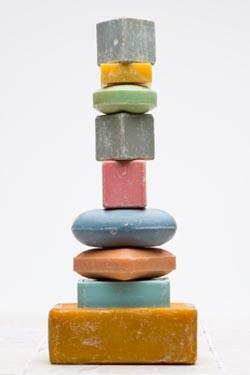 eHow has video demonstrations and tutorials for a number of soap making projects. Soap Making 101 gives you the foundation of knowledge necessary to become a proficient soap maker. Making Designer Soaps and Candles for Business or Pleasure is a self-paced, online instructional system that allows participants up to six months to complete the course. Although a good soap making DVD can be a wise investment for the serious crafter, you may wish to ask your local library to order one of the titles for you if you're on a tight budget. By using your state's inter-library loan system, you should be able to access almost any reference material imaginable.